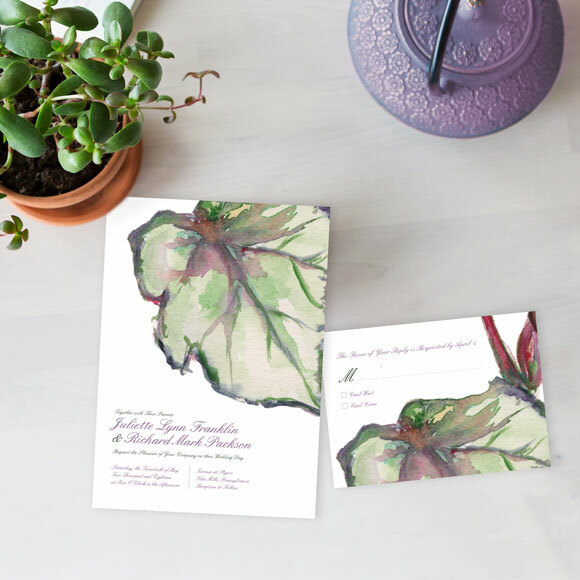 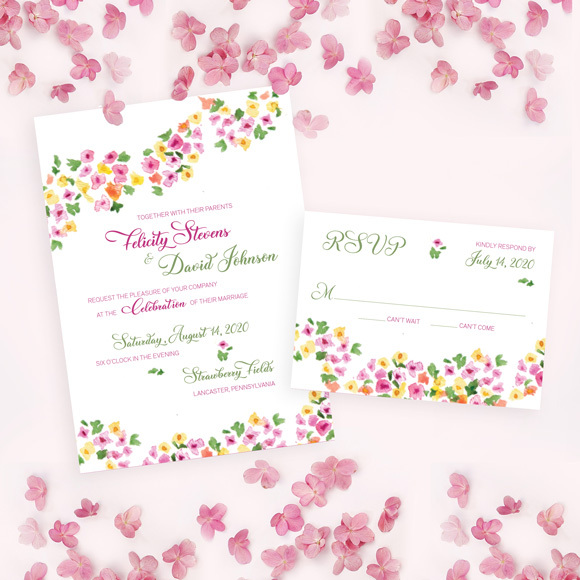 The hand-painted Hippie Wedding Invitation and RSVP set is beautiful for a couple who is getting married amongst the beauty of flowers. 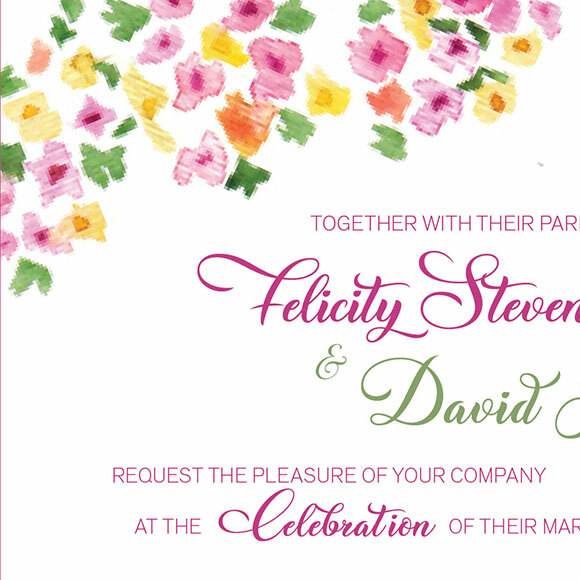 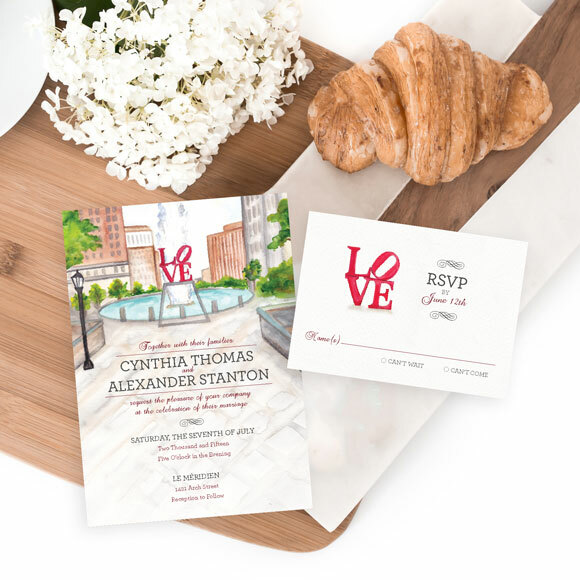 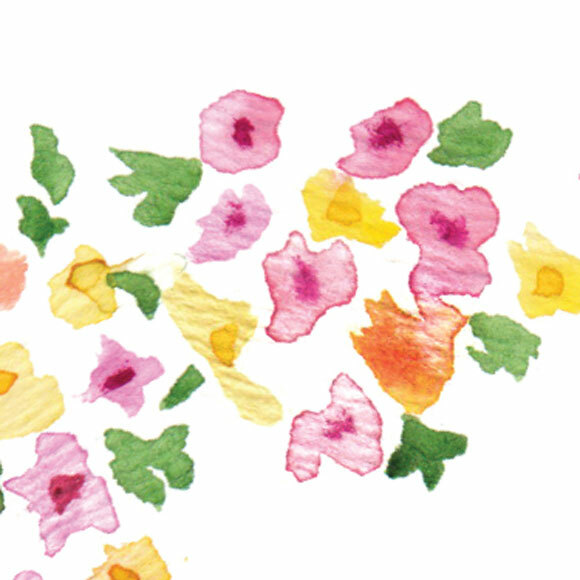 The flowers are thrown across the invitation in a very loose, casual, celebratory way. 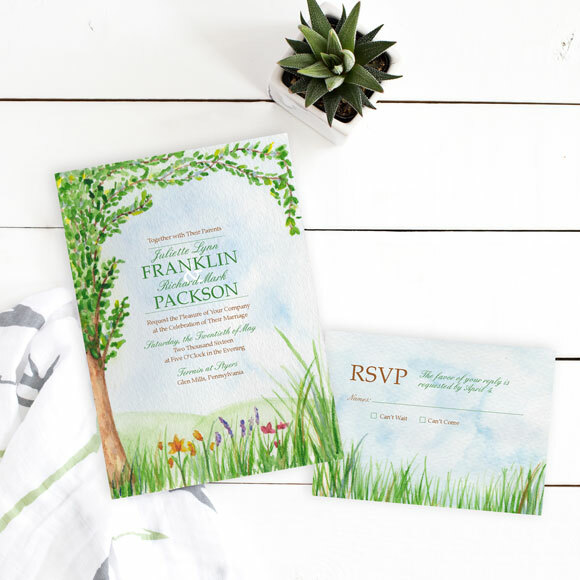 This invitation would be perfect for a boho wedding.